More than your average city park. Ueno Park in Tokyo is the most popular park in the capital city, welcoming over 10 million visitors annually. 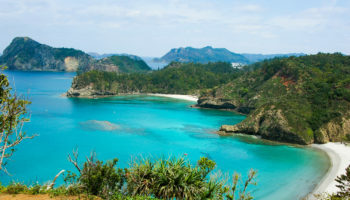 It is also one of Japan’s oldest public parks. Located in Taito ward in the popular Ueno area, it is Tokyoites’ favorite place to take a break from the big city life and enjoy all the attractions available here. This huge public park in the middle of metropolitan Tokyo offers tons of activities that you can enjoy all in one place. Ueno Park is fantastic for a romantic stroll. No matter the season, strolling around Ueno Park is always a good choice and the experience will be slightly different depending on the season. In spring, the public park becomes a popular spot for hanami (cherry blossom viewing) with around 800 sakura trees to see burst into bloom. 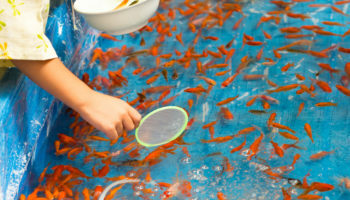 Though, it can get awfully crowded, so be prepared! In summer, picnics under the treetops of Ueno are best to cool down in the heat. In autumn, Ueno park is also has stunning scenery with a diverse palette of colorful leaves. 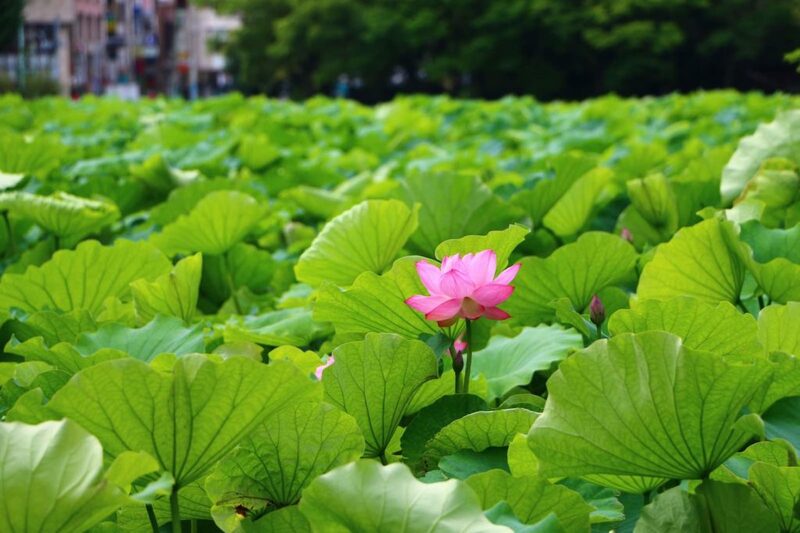 Beautiful lotus flowers grace Ueno Park in summer. 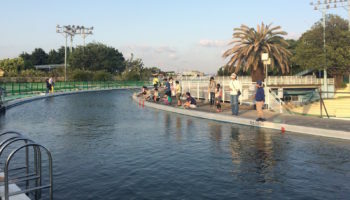 One of the main attractions of the city park is the Shinobazu Pond, especially in summer. In late July to mid-August, an amass of pink lotus flowers emerge. They’re absolutely spectacular and not to be missed. The pond is situated in the center of the park and is a heaven for bird watchers, as ducks, grey herons and black-tailed gulls roam the pond freely. You can also rent swan boats here to take out on the pond, or visit the nearby and very popular Ueno Zoo. tatue of Saigo Takamori The Last Samurai atop the stone steps in Sannodai Square near main entrance to Ueno Park. Besides a pond, Ueno Park is also known for being a cultural and artistic hub. 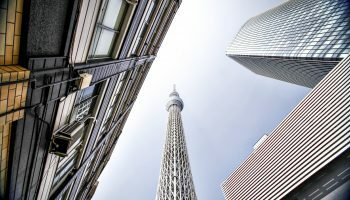 The park is the home of Tokyo’s best-known museums, such as Tokyo Metropolitan Art Museum and National Science Museum, art galleries (like the National Museum of Western Art) and cultural landmarks. The best-known cultural landmarks of Ueno Park are the statues of Saigo Takamori with his dog and Prince Komatsu Akihito on his horse. 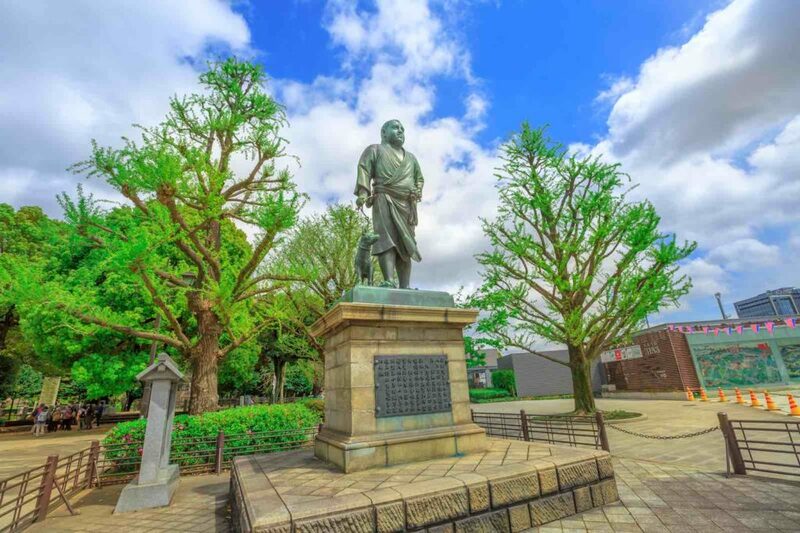 The bronze statue of samurai Saigo Takamori is located near the South entrance of the Ueno Park and Prince Komatsu Akihito’s statue can be found in the center of the park. 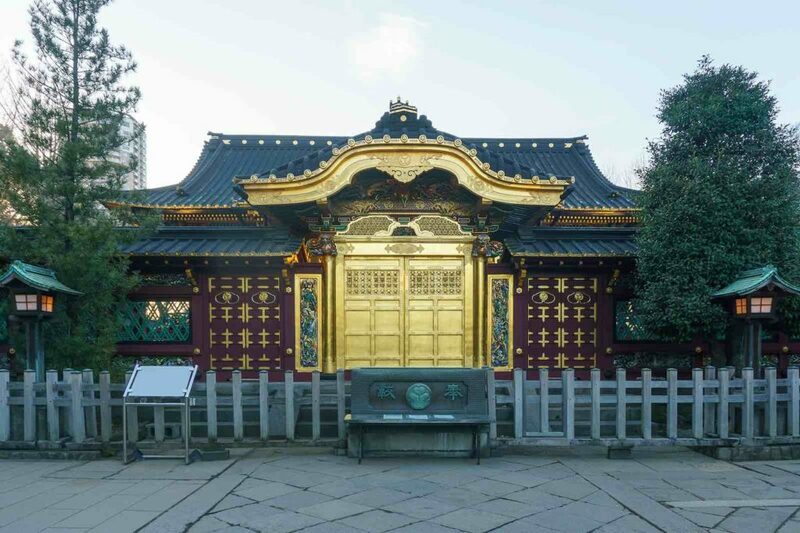 However, perhaps the most important site of all, especially for Japan history buffs, is the Ueno Toshogu, a large Shrine complex in the middle of the spacious park. The complex houses a number of historically significant artifacts, but is best known as the resting place of Tokugawa Ieyasu, former Shogun (military ruler) and de-facto ruler of Japan in the early 17th century. The Tokugawa Mausoleum is a huge, imposing structure, which fittingly reflects the iron grip this proud family once held across Japan. Toshogu Shrine at Ueno Park in evening. If you just want to relax and energize yourself instead, Ueno Park is also filled with plenty of cafes, restaurants and bars dotted around the area. One of the unique qualities that Tokyo offers over many other busy cities is that, no matter how busy or chaotic it may seem, large parks like Ueno are never too far away, and provide the perfect tonic when urban life gets that little bit too intense. 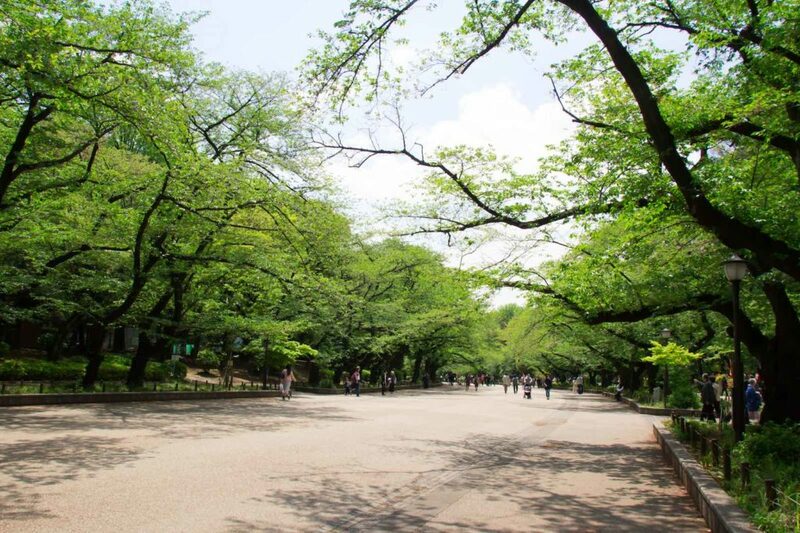 From great natural landscapes to museum, statues and cafes, Ueno Park has everything you are looking for when you need a break from the city life. Ueno Park can be accessed anytime from 5 a.m. to 11 p.m. However, the facilities inside (such as museums and art galleries) have more limited opening hours. Ueno Park is free of charge, but you will need to pay a fee to access other services within the park. Ueno Park is a short walk from Ueno station, served by the JR, Kesei, Hibiya subway and Ginza subway lines. It is about 90 minutes to Ueno from Narita Airport on the Keisei Line. Let the scent of wisteria take you back in time.